We have already seen various news and retail websites spill AMD Ryzen CPU pricing details. However, today we have some high credibility Ryzen pricing leaks from none other than Amazon. 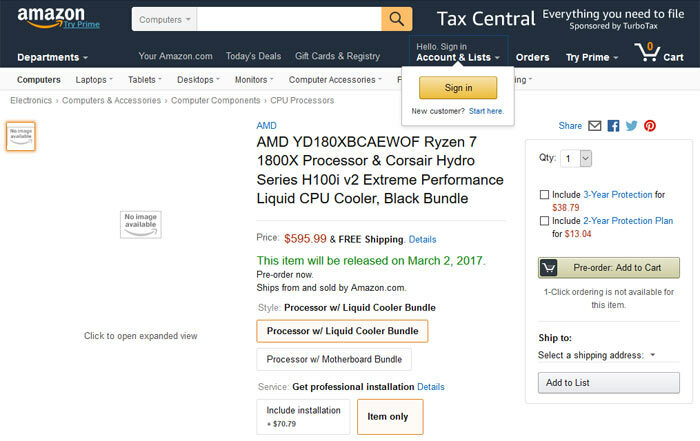 Overclock.net forum user 'iLeakStuff' shared some archived Amazon retail pages which feature AMD Ryzen 7 1700X and 1800X liquid cooler bundles. If you go to the above archive pages you can see the original Amazon listings which were live on 21st Feb at 9.30pm UTC. Of course the listings that are archived have been taken down by Amazon, for now. I read about the above Amazon listings on VideoCardz where they also reported that Canada-based MemoryExpress had very recently listed the same Ryzen 7 CPUs for sale. The pages have since been taken down but revealed that the Ryzen 7 1700X and 1800X are priced at CA$529 and CA$699 respectively, without any bundled coolers. 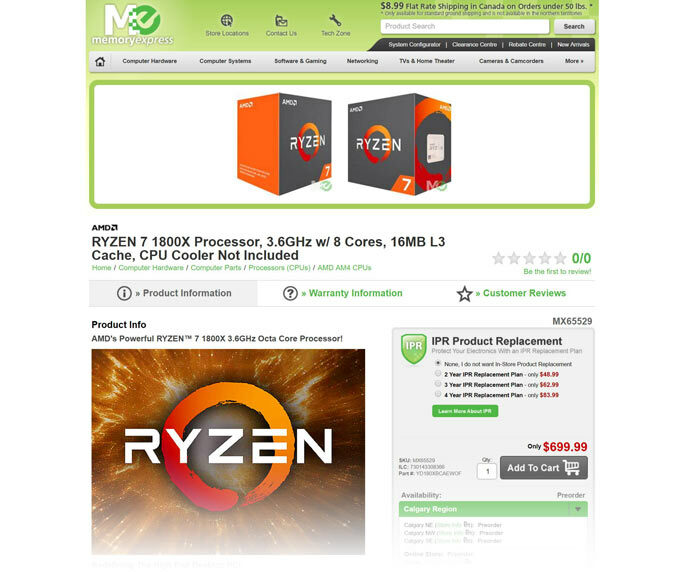 The Canadian retail source showed Ryzen packaging images, marketing blurb, and bullet pointed tech specs matching those from the Amazon listing tabulated above. 8 cores and 16 threads for less than £400….please be true! Depending what the reviews are like I am very tempted with 1700X and probably pair it with a Noctua NH-D15, although could be tempted with a Corsair H100 or H110 but then I'd need to buy another case to fit it in.